Hours of Operation:Monday - Friday, 7:30 a.m. - 6:00 p.m. Regular vehicle maintenance can save money on costly repairs down the line. It also lessens your chances of ending up stranded on the side of a busy highway. Sorrento Valley Automotive's affordable services will keep you and your family safe and secure during each road trip. We strive to provide friendly, reliable, speedy service, serving San Diego, California, and the surrounding area. Sorrento Valley Automotive is a full-service repair shop servicing Carmel Valley, Del Mar, California, and the surrounding areas since 1984. We offer auto electrical repair, which requires service from an experienced professional. The electrical system in your vehicle is very delicate and complicated, and if it's repaired wrong, it can cause all sorts of problems. 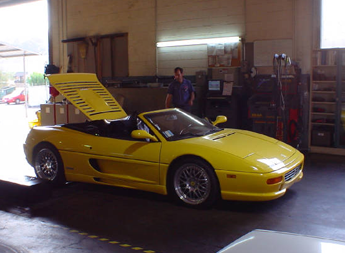 We use mostly OEM or factory parts for your repair, ensuring the highest degree of reliability and satisfaction. On older vehicles or depending on the circumstance, after-market parts can be sourced to complete the repair in a cost-effective manner. Also, we can give you a referral to the closest station that participates in the Smog Check Program, which aims to reduce air pollution.